BlueJeans, the cloud meeting platform for mobile devices, desktops, and room systems, recently announced that it had successfully reached a milestone in its performance this year. The company revealed that they now have $100 million in annual recurring revenue, as of the fiscal year ending January 31, 2019. For years, BlueJeans has been building a powerful reputation for enterprise video collaboration. Up to two-thirds of BlueJeans’ revenue comes from its enterprise customers, and in the last year, customer adoption increased by 62% for the company’s meeting room solutions. BlueJeans’ commitment to delivering pioneering products for customer success has placed the company at the forefront of a growing SaaS market. As trends like workplace diversity, new generations, and increasing remote employees transform the workplace, video meetings and collaboration platforms are more popular than ever. Today, BlueJeans is championing its solution as the answer to familiar workforce issues. Gallivan believes that the scale and reliability of the BlueJeans service is one of the reasons why people rely so heavily on BlueJeans. The collaboration company even captures customer feedback via Medallia – a leader in experience management technology. The latest data gives BlueJeans an impressive NPS score of 62. Additionally, global brands like ADP, LinkedIn, Facebook, and Intuit all rely on BlueJeans for their collaborative technology. 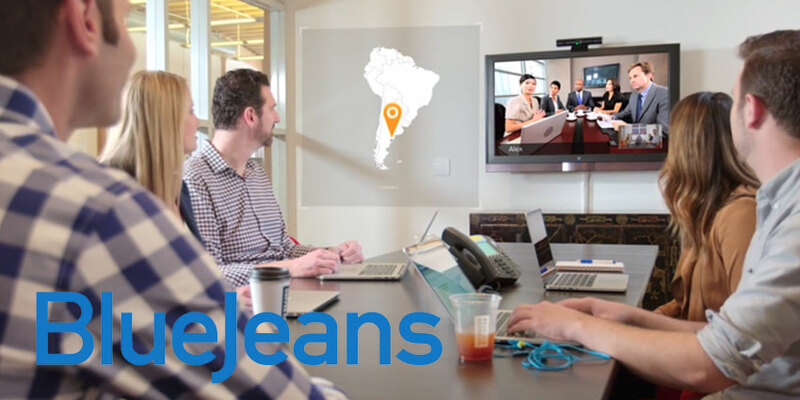 World-renowned research platforms for technology also rate BlueJeans as one of the top video conferencing providers in the world. Going forward, BlueJeans looks forward to continued growth, building off the feedback and insights of their valued customers and partners.